I didn't know Azzedine Alaïa. 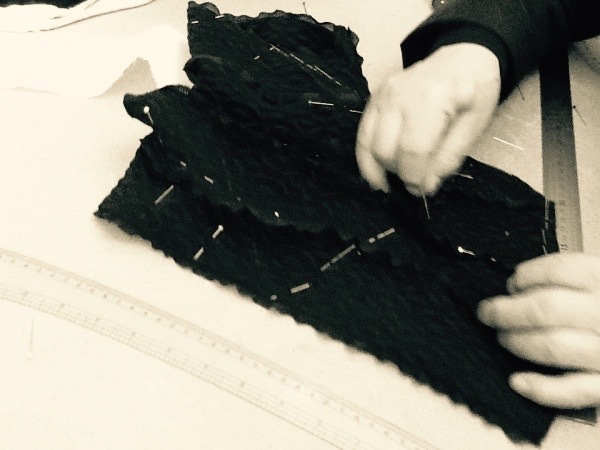 I never sat in his atelier in the Marais watching him cut a pattern with an architect's precision. I never saw him run his hands across a piece of fabric, or watched those hands fastidiously pinning and draping and sculpting that fabric, manifesting Alaïa’s creative genius into a physical garment with a mind and spirit all its own. And yet, when I heard the news of his passing on Saturday, I felt as if I had been there in his atelier all along. His hands felt familiar to me, real. And his loss was palpable and intimate. I felt grief. Fashion without Alaïa felt instantaneously incomplete and permanently changed, and I dreaded the thought. Perhaps the most intimate experience anyone might have with Alaïa is to observe his hands at work. The hands have been shaped by his métier—by pinching fabric, by pushing in pins, by endless small, sure fluttering and flowing movements, similar to the gestures of a sculptor modeling clay. I’ve been reflecting on the life and loss of Alaïa and wondering what it is about his life that makes his loss so visceral. 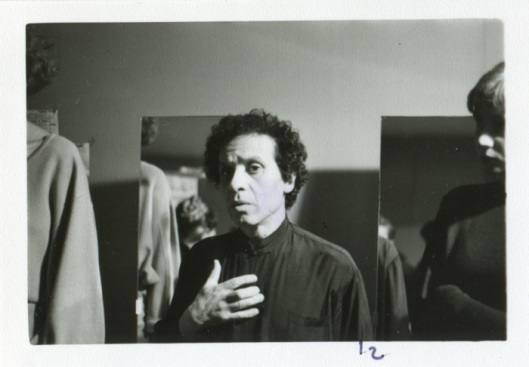 And I think it comes down to this: Azzedine Alaïa was one of a remarkably small, and ever shrinking, group of people who truly understand fashion. Not fashion the industry, not the business of fashion. Not the glitz of it, but the soul of it. For Alaïa it was never about the things that fashion is so often confused with and mistaken for. It wasn't about fame or money or celebrity or relevance. As Vanessa Friedman noted, in the 1990s, when the fashion moved from a body conscious silhouette to a looser-fitting minimalist aesthetic, Alaïa wasn't tempted to budge. Of course, fast forward a decade later, and fashion found him again, not that this time it mattered to him either. No, for Alaïa it was always about the two things that comprise the beating heart of fashion: the clothes, and the woman wearing them. I just concentrate on the clothes I make. I think, “Why do I make clothes? What should the clothes I make be about?” There is just one good reason to do fashion: to make the woman look more beautiful. If that is not the case, it has no meaning for me to create. And it has no meaning for her to buy something that massacres her style. I truly never calculate — I only think about women when I create. And I owe it all to the women, all my success. Because Alaïa was so unequivocally sure about what he believed mattered, nothing else ever got in the way. Here he is speaking to the things that animated him, and ultimately, that made him extraordinary. 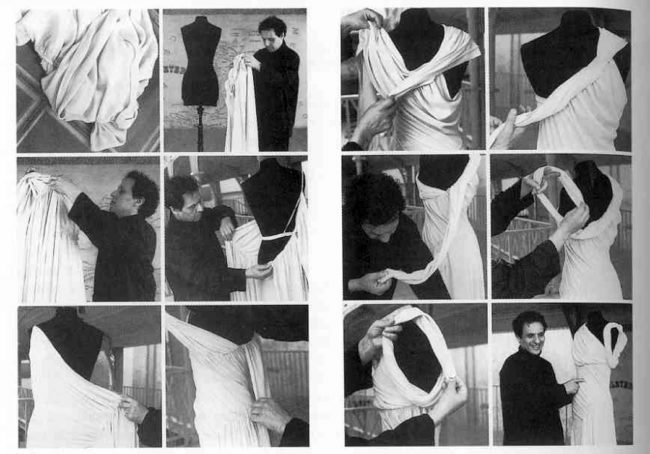 Alaïa reconstructing a Madeleine Vionnet dress from the 1930s. He was, like his predecessor, a master of fabric, cut, and drape. Photos from Madeleine Vionnet by Jacqueline Demornex and h/t to Caroline Rennolds Milbank @jupeculotte on instagram where I learned about this. I first need to work on the fabric: I need to cut it, think about the shape, drape it on the bust — reflect on it. I make every piece with my own hands. While I enjoyed and still do enjoy doing ready-to-wear, my roots are in couture – all my clothes are first made by myself, all patterns are traced by me and then developed by my couture ateliers. I take care of the fabric, the pattern, I do all the patterns myself, all the fittings...from the idea to the reality. I'm not very often satisfied by what I do. I suppose my clothes are an homage to all women and to all the women in my life. I work for women. I only think for them. If I didn't like women, I wouldn't do this job. I prefer the woman to be seen rather than the outfit. Her head, her body, her hands -- the garment is there to cover her, to underline something, and make her beautiful. In his atelier. Photographer unknown. Maybe in July I will show other clothes, if I have the time to develop them. I refuse to work in a static rhythm. Why should I sacrifice my creativity to that? That’s not fashion, that’s industrial work. We can hire people to design all day long and then fabricate what they design and sell and sell and sell — but that has nothing to do with fashion, with la mode. And it’s a shame talents are being abused for this. I really don’t understand that. I have to live as well. That’s what life is about: living. Tell me how these designers who work for the major houses can have lives? How can they raise children if they are never home? They are gone for one, sometimes two months, while their children have to go to school. They have husbands, wives, but they can’t live their lives. People need time for that, and talents need time to create something. It’s stupid to ask someone to create eight collections per season. Look what has happened to John Galliano or this poor young guy from Balmain, who is now in a psychiatric hospital. After five or six seasons, he was already broken. Or last year, McQueen — dead. And there are many more that are just so tired. There is a pressure that is mad. It is extremely important to me that the pieces I make should work now and in all periods...I am not trying to create a revolution; it's always an evolution. Once I have the shape or the idea I just develop it. It should always work 20 years from now. That's what Chanel did and that's why Chanel is still successful and has lasted such a long time. She had one good idea and didn't try to change it. If you do one beautiful skirt per season, that already is a miracle. If you do one manteau that women desire, you have won. You don’t need to do long coats, short coats, one with a zipper this way and another one with buttons that way. And I don’t think really new ideas can come out every two months. It’s not possible. That’s why now there is a lot of vintage. There’s too much vintage — in all the houses, it’s too much. We don’t have good ideas every day, it’s not possible. Nobody has new ideas every day. When you have one in the year, that’s already good. Fashion is arrogant, a reflection of our time – politically, economically. We have to try to understand why it is like that. We have to respect it even if it seems distorted. Today time is so accelerated and that’s not good for creation. We keep producing more and more. I said it before. She [Anna Wintour] runs the business (Vogue) very well, but not the fashion part. When I see how she is dressed, I don’t believe in her tastes one second. I can say it loudly! She hasn’t photographed my work in years even if I am a best seller in the U.S. and I have 140 square meters at Barneys. American women love me; I don’t need her support at all. Anna Wintour doesn’t deal with pictures; she is just doing PR and business, and she scares everybody. But when she sees me, she is the scared one. [Laughs.] Other people think like me, but don’t say it because they are afraid that Vogue won’t photograph them. Anyway, who will remember Anna Wintour in the history of fashion? No one. Take Diana Vreeland, she is remembered because she was so chic. What she did with the magazine was great, with Avedon and all the great photographers. Vogue remains while its fashion editors come and go. To see fashion through Alaïa's eyes, to indulge in his viewpoint, connects me again to this tangible feeling of personal loss. But what exactly am I mourning? Alaïa, who died at 82, lived as complete a life as anyone might dream of- enthralled by his work, in the company of the beautiful, strong women he created for, surrounded by loyal friends, idolized and revered as a giant in his industry, an industry whose rules he didn't follow. Perhaps then part of my sadness is this feeling that with the passing of Alaïa, fashion will really never be the same again. If a fashion designer's job is to reflect the times, and our times are marked by more speed and higher quantity and lower cost and more profit and churn, where is there room for the patient philosophy of Azzedine Alaïa? Where is there space in fashion, the fashion of today or that of tomorrow, for a pair of hands, calloused and rough and consumed with ideas of their own, carefully constructing in silence? Maybe, the truth is, there isn't room for that kind of creation in fashion today. And this is a sad truth if so. With Alaïa's death, the praise for his life been extraordinary. And it's made me wonder- if so many powerful people in fashion deeply admire Alaïa, why can't we collectively work to create a fashion system in which more talents like his are nurtured? Why can't we celebrate his life by propagating his vision: slow, careful craftsmanship promoted by fostering the kind of conditions that enable artistic people to create, and to thrive. There is a market; Alaïa proved it. In a world without Azzedine Alaïa, the future of fashion feels murkier than it did with him in it. But having shaped the views of so many, myself included, having inspired us to believe that anything in fashion is possible, Alaïa changed his little slice of the world. And when you change the world, are you ever really gone?